Scott Carpenter – (Deceased) Project Mercury 7 Astronaut and Aquanaut personal website. Don A. Thomas – Space shuttle veteran of four missions read more about Don here. William ‘Bill’ Pogue – (Deceased) He was selected in the 5th group of astronauts in 1966 and was on the support crews for Apollos 7, 11 and 14. 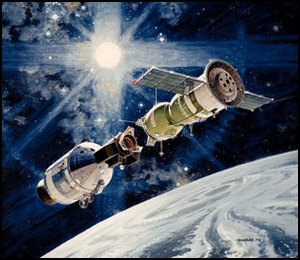 Bill’s 84-day space flight aboard the Skylab space station (’73-’74), with astronauts Jerry Carr and Ed Gibson) set eight endurance and distance records. Dorin Prunariu – website of the first and only cosmonaut from Romania; Site under constructon. Ed White – (Deceased) The offical site of the first American Astronaut to walk in space. Ed White was pilot of Gemini 4 when he made his historic spacewalk on June 3rd 1965.